SECTION 1: ANIMALS: No person shall lead or allow to be loose upon park premises any animal, except that horses may be ridden in a parade by the person in charge thereof, or driven before a vehicle attached thereto, on such portions of the Marion Park District as may be designated for riding and driving and that dogs may be taken into the Marion Park District provided they are held by a six foot leash, chain or strap. It is the responsibility of the owners to pick up dog waste behind their dogs. SECTION 2. GAMES AND SPORTS: No person shall engage in any sport, game or amusement in the Marion Park District except such portions thereof as may be designated by the Board of Commissioners and then only under such rules and regulations as may be prescribed by the Board of Commissioners. Permits are required for use of all youth athletic fields and facilities within the Marion Park District. SECTION 3. FIREARMS AND FIREWORKS: No person shall carry or discharge firearms, or discharge or set off-any rocket, cracker, torpedo, squib or other fireworks or things containing any substance of an explosive nature in the Marion Park District. SECTION 4. THROWING STONES: No person shall throw or cast any stones or other Missiles with the Marion Park District. SECTION 5. VEHICLES: No person shall bring or use any vehicle upon any portion of the Marion Park District where such vehicles are prohibited from being brought or used by direction of the Board of Commissioners. SECTION 6. HINDERING EMPLOYEES: No person shall interfere with, or in any manner hinder any employee of the Marion Park District while engaged in any construction, repairing or caring for any park property. SECTION 7. OFFERING ARTICLES FOR SALE: No person shall offer or exchange for sale any. article or thing, or do any hocking, peddling or soliciting, or buy or offer to buy an article or thing; or take up any ‘collection or solicit or receive contributions of money or anything of value in the Marion Park District, except when authorized to do so by permit from or contract with the Board of Commissioners. SECTION 8. PUBLIC MEETINGS: No person shall call or hold any public meeting or demonstration or protest or give any concert or public entertainment of any kind in the Marion Park District without the express consent of the Board of Commissioners. SECTION 9. RESTRICTED PARTS OF THE, PARK: No person shall enter upon any portion of the Marion Park District where persons are prohibited from going by direction of the Board of Commissioners as indicated by sign or notice. SECTION 10. IMPROPER SPEECH AND CONDUCT: No person shall use any abusive, threatening, insulting, indecent, profane or obscene language, or language calculated to occasion a breach of the peace, nor be guilty of any indecent act or behavior in the Marion Park District. SECTION 11. BEGGING: No person shall beg or solicit alms in the Marion Park District. SECTION 12. SLEEPING IN PARKS – HAMMOCKS: No vagrancy is allowed in the Marion Park District including the placing of temporary or permanent structures in the act of vagrancy. SECTION 13. USE OF PLAYGROUND EQUIPMENT BY ADULTS PROHIBITED: No adult person shall in any manner use any of the playground apparatus or devices meant solely for the use of children. SECTION 14: OBSTRUCTING TRAVEL: No person shall set or place or cause to be set or placed, any good, wares, merchandise, vehicles or property of any kind so as to obstruct travel in the Marion Park District. SECTION 15: FIRES: No person shall light or make use of any fire in the Marion Park District, except such portions thereof as may be designated by the Board of Commissioners for such purpose and then only under such regulations as are prescribed by them. SECTION 16: DRUNKENNESS – ALCOHOLIC BEVERAGES: No intoxicated person shall enter, be or remain in the Marion Park District, nor shall any person bring within, sell, give away or drink any alcoholic beverages in the Marion Park District. SECTION 17: DUMPING ARTICLES: No person shall deposit, dump, throw or place any coal, ashes, dust, manure or rubbish in or upon any part of the Marion Park District. Paper, garbage or refuse matter shall not be so deposited except in receptacles provided for that purpose. SECTION 18: ADVERTISING: No person shall display any placard or advertisement of any kind in the Marion Park District, nor shall any person distribute, cast, throw or place any hand bill, pamphlet, circular, advertisement or notice of any kind, nor post, stencil or otherwise affix any notice or bills, advertisement or other papers upon any structure or thing in or about the, Marion Park District premises. SECTION 19: FORTUNE TELLING – GAMBLING: No person shall tell fortunes, play at games of chance or use any gambling device in the Marion Park District. SECTION 20: PROTECTION OF BIRDS AND ANIMALS: No person shall trap, catch, wound, kill, or treat cruelly, or attempt to trap, catch, wound or kill any bird or animal’ or disturb or rob any nest of any bird or animal in the Marion Park District. SECTION 21: BRINGING PLANTS, SHRUBS OR TREES PROHIBITED: No person shall bring into or upon the Marion Park District any tree, shrub, plant or any newly plucked branch or portion of a tree, shrub or plant.  SECTION 22: DAMAGE TO PARK PROPERTY: No person shall cut, break, climb on or in any way injure or deface any tree, shrub, plant, turf or any of the buildings, fences, bridges, lamps or posts or other structures or property within the Marion Park District. SECTION 23: BREACH OF PEACE – DISORDERLY CONDUCT: No person shall make, countenance or assist in making any improper noise, riot, disturbance, breach of peace, or diversion tending to a breach of peace, in the Marion Park District or be guilty of any disorderly conduct therein, or collect with other persons in bodies or crowds for unlawful purposes or for any purpose to the annoyance or obstruction or disturbance of other persons. SECTION 24: RESISTING OR INTERFERING WITH OFFICER: No person shall resist any commissioner or police officer in the discharge of their duty, or fail or refuse to obey any lawful command of any such commissioner or police officer or in any way interfere with or hinder or prevent any such commissioner or police officer from discharging his duty, or in any manner assist or give aid to any person in custody to escape or to attempt to escape from custody, or rescue or attempt to rescue any person when in such custody. SECTION 25: IMPERSONATION OF OFFICERS: No person shall falsely represent or impersonate any Marion Park District Commissioner or pretend to be a Marion Park District Commissioner. SECTION 26: COLLECTING FEES: No admission fees shall be imposed or collected by any person, persons, club, organization (profit or non-profit), business or taxing body for the purpose of entering or attending an event in any park within the geographic boundaries of the Marion Park District without the permission of the Board of Commissioners. SECTION 27: PENALTY: Any person violating any clause or provision of any section of this ordinance shall be fined not less than $50.00, nor more than $500.00 for each offense upon conviction thereof, before any Justice Officer in the County in which such violation occurs and the procedure in suits brought against any person for violation of any provision of this ordinance shall be the same as that provided by law for like suits for the violation of ordinances in cities organized under the same laws of the State of Illinois, and offenders may be imprisoned for non-payment of fines and costs in the same Manner as in such cities. All fines, together with costs, to which the Marion Park District shall be entitled, when collected shall be paid into the treasury of such district. SECTION 28: REPEAL OF PRIOR ORDINANCES – EFFECTIVE DATE OF ORDINANCE: All ordinances and parts of ordinances in conflict or inconsistent with any of the provisions of this ordinance are hereby repealed, and this ordinance shall be in force from and after its passage and approval. SECTION 29: VARIATION OF ORDINANCES: The Marion Park District Board of Commissioners has the authority to approve any variation of any section of Ordinance 98-04 by majority vote. SECTION 30: INSURANCE ORDINANCE: All individuals and organizations holding events or sporting activities in the Marion Park District are required to have liability insurance with the limits prescribed by the park district and naming the Marion Park District as the other insured on the certificate. SECTION 31: YOUTH AND SPECIAL RESTRICTIONS: All youth sporting facilities, playgrounds and special event areas shall be tobacco and alcohol free areas. No animals except assist animals shall be permitted at youth sporting facilities, events or special events.